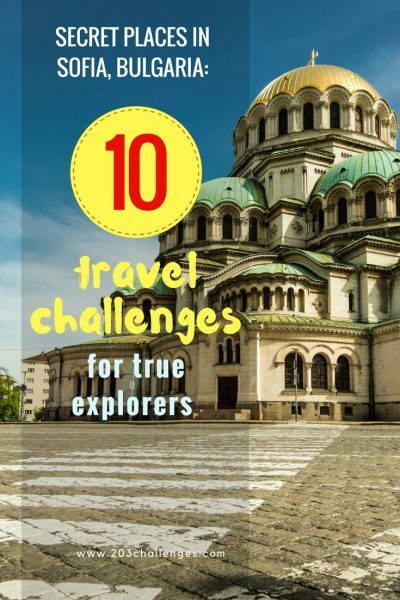 Maybe you have already spent some time hanging around Sofia, or maybe you want to skip the main attractions and plunge straight into the secrets and amazing stories of the Bulgarian capital. 1. 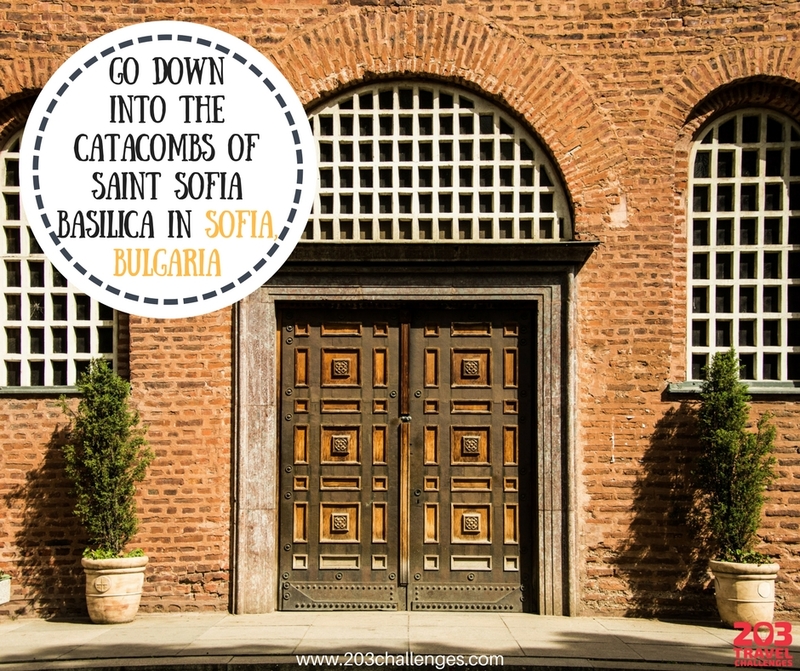 Sofia was named after this basilica, which used to tower on a hill outside the town. 2. Although the church doesn’t look like anything special at first sight, go down the stairs at the left and you will enter a labyrinth of a Roman necropolis that existed here before the church’s construction. Spare at least half an hour for a walk through the Catacombs (there are short movies providing historical background screening down there, too). 3. You have a special challenge: find the bell tower of the church! *[you’ll be rewarded with the vital clue to this challenge at the end of the article]. Another part of the necropolis, with a separate entrance right opposite the church (but accessible with the same ticket! ), is the colorfully decorated Tomb of Honorius. This is one of the newest sights in Sofia, and the only late-antiquity tomb discovered in Bulgaria with its occupant’s name inscribed on it. 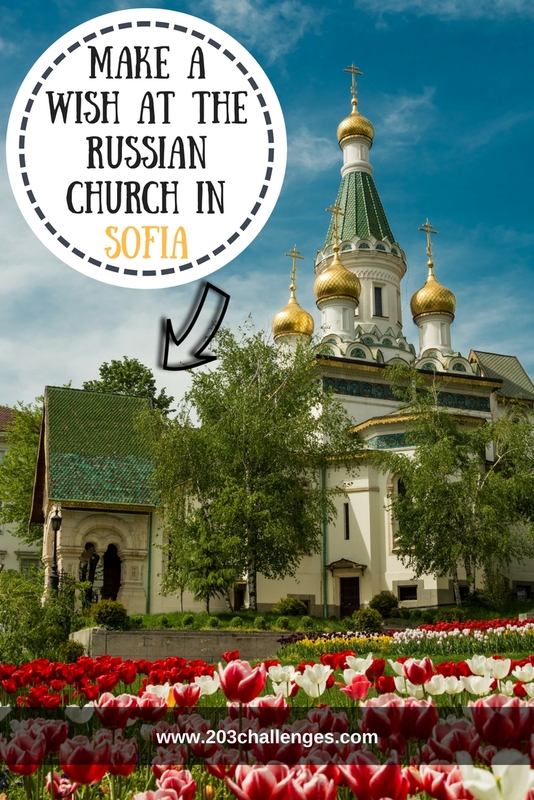 This golden-domed, Russian-style church is one of the highlights of a trip to Sofia. While most people take a photo and walk on, your challenge is to enter the church (not from the main entrance but from the side door to the left) and write your wish on a piece of paper. Then you should put it in a special box and hope for the late bishop Serafim to work his miracles. … which is in fact officially called the City Garden, but nobody uses its official name – it’s known as the Park in front of the National Theater, and it’s the oldest public garden in the capital. This is where the youth of Sofia gathers for a beer in summer and old men play (and quarrel over) chess all year round. In December, the park hosts the city’s most famous Christmas market. 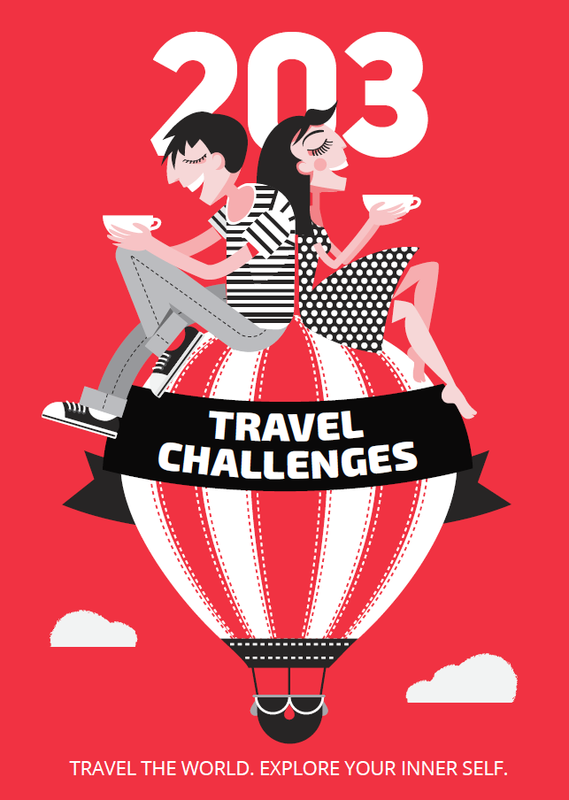 While you sip your beer in the company of the local society of chess players, you have another challenge to complete. This is something few Sofia dwellers have noticed on the facade of one of the most beautiful buildings in Sofia. Take a careful look at the figures adorning the National Theater; you’ll spot an angel, whose tiny body part is golden AND suffers from a lack of pants. 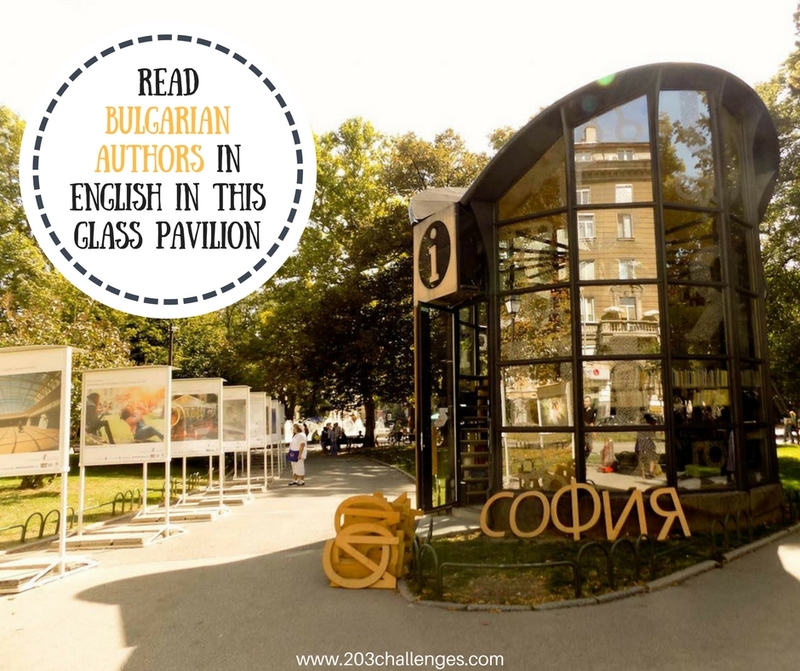 If you like to read and a glass pavilion in the City Garden sounds like the perfect place to do it, the literary hub of Chitalnyata (ЧиталнЯтА, meaning the Reading Room) is exactly what you need on a rainy day (or in the baking heat of summer). Here you can read books by Bulgarian authors in English, get inspiration from beautiful albums showing photos from Bulgaria or ask for tourist information about Sofia. 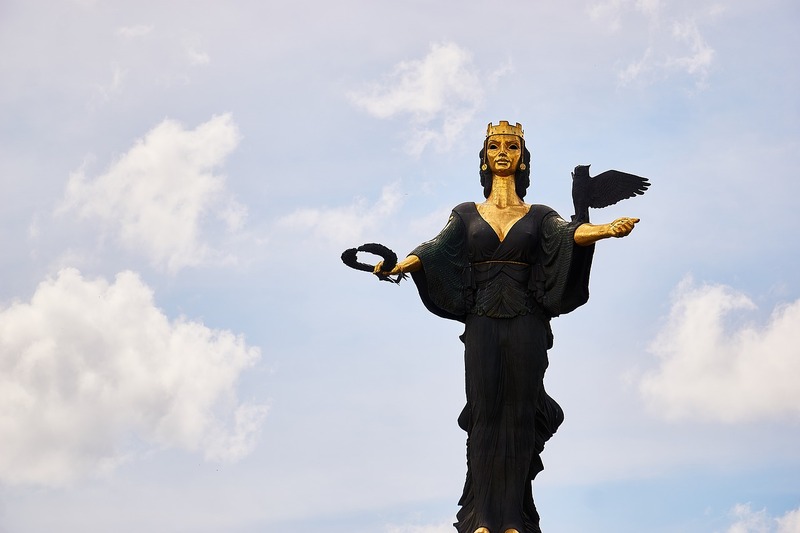 If you want to learn something about the history of Sofia, the Sofia History Museum offers a fun walk through the past of the city. 1. Get on (half of) a retro tram to see a movie about the history of trams. 2. Flip through the interactive boards to see old photographs of how people used to dress and what Sofia looked like a century ago. 3. 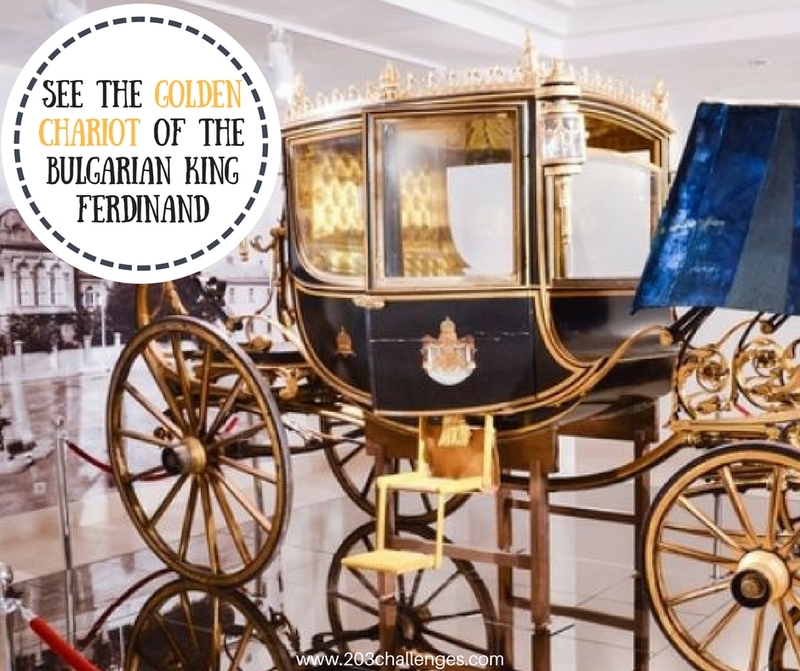 Admire the golden chariot of the Bulgarian King Ferdinand, his golden desk, thrones and a Mercedes from 1905. 4. Find out which Roman emperor was quoted as saying “Sofia is my Rome”. 5. Go out of the building, turn left and drink mineral water for free from the tap on the museum’s wall. 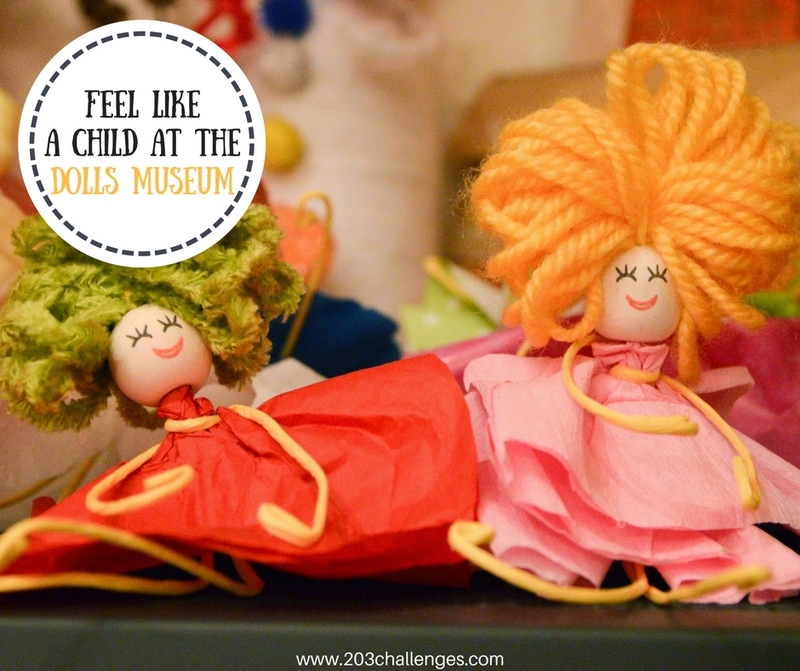 Remember your childhood or just stop by for a look at the biggest collection of dolls in Bulgaria – more than 3,000 dolls of all sizes and all ages await you at The Dolls Museum and Art House. In addition, you can also make a doll yourself (if you make a reservation in advance). Your particular challenge is to find the tiniest doll in the collection. On May 16, 2006, the citizens of Berlin gave a piece of the original Berlin Wall to the citizens of Sofia as a sign of peace and good will. Today the piece is located a one-minute walk from the National Palace of Culture (see the map below). Fun fact: a few years ago, it was mistakenly painted by municipality workers who thought the graffiti on the monument had been scrawled by local vandals. Afterwards, the original drawings had to be restored. Vino Orenda is the only wine shop in Sofia that sells only Bulgarian wines, produced mainly by small family wineries. The knowledgeable shopkeeper will give you the best advice based on your preferences. They often hold themed wine-tasting evenings dedicated to various wine regions or grape varietals. Wine tasting is available upon request too (send them a message on their Facebook page). 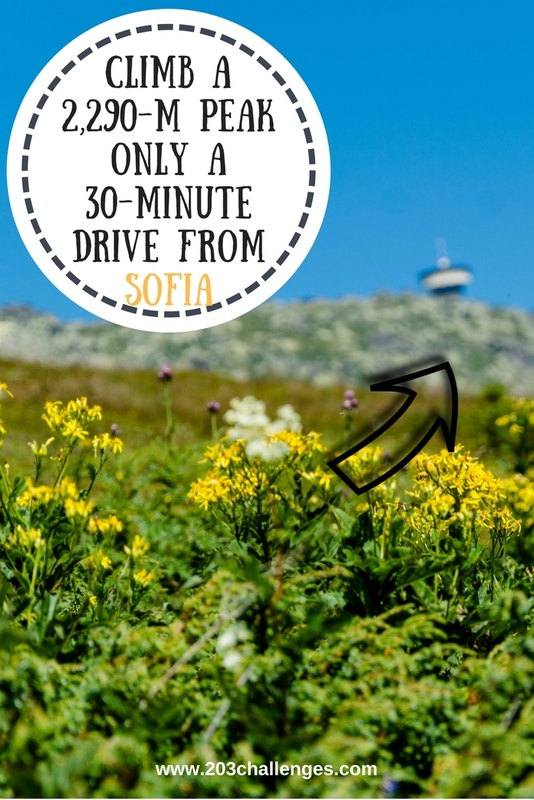 Sofia is lucky enough to have the high Vitosha mountain only a short drive from the city center, and it’s possible to climb its highest peak – Cherni Vrah – in a day. You can a) take the chairlift from Dragalevtsi district and then hike for around an hour to the peak or b) climb all the way from the outer districts of Sofia to the peak. In both cases, it’s a good idea to take a map or a local with you (on a sunny day, you’ll meet many hikers on the various routes, so you can always ask for directions). There’s a tea house on the top, but expect to wait an eternity for a hot meal or a cold beer. *Answer to the whereabouts of the bell tower of Saint Sofia Basilica: The church doesn’t have a bell tower and the bell is tied to a tree branch against the main entrance.